Looking like nothing more than a ball with the ends cut off, the Putter Wheel is designed to replicate the size, weight and feel of a regular golf ball. The key is that when the Putter Wheel is mis-hit, it wobbles to provide instant feedback on the putting stroke. 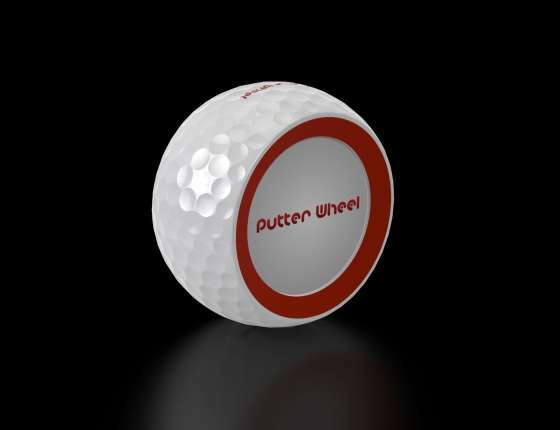 The beveled red edges help align your ball over the ball. This looks to me like a really great item that could be kept in a bag for practice before or after a round on the clubhouse green.